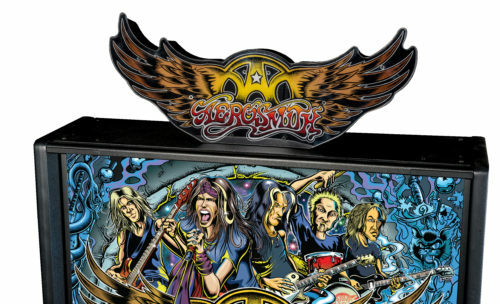 Aerosmith (Pro) Pinball Machine * | Fun! 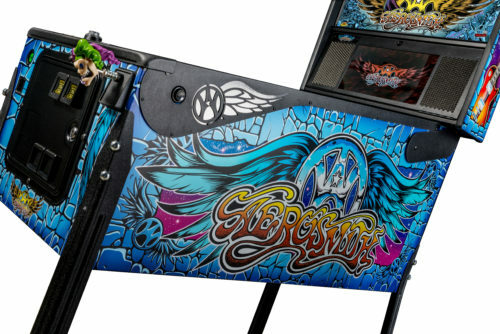 Stern Pinball’s Aerosmith machines reflect the high-energy and excitement that accompanies the experience of a live Aerosmith concert. Players will rock to nine famous Aerosmith hits in the concert arena playfield and embark on an exhilarating pinball experience. Players score points and finish game objectives to raise the audience’s levels of energy, thrill and enjoyment. 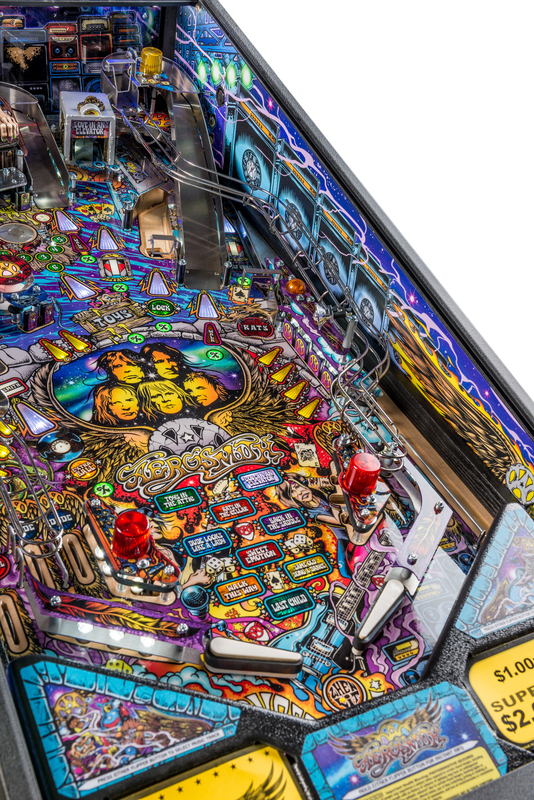 Higher scores amplify the experience–the higher the energy level, the bigger and louder the show–resulting in an Aerosmith pinball experience that cannot be matched. With a limited run of 500 Limited Edition Aerosmith Pinball Machines all feature original hand-drawn art provided by “Dirty” Donny Gillies, who has produced work for bands including The Hellacopters, The Melvins, Queens of the Stone Age, The Wildhearts, Electric Frankenstein and the 5.6.7.8’s, but is most noted for his work with metal band Metallica. In addition, the machines feature custom speech from Brendon Small, creator of Metalocalypse, the American animated television series centering around a death metal band. 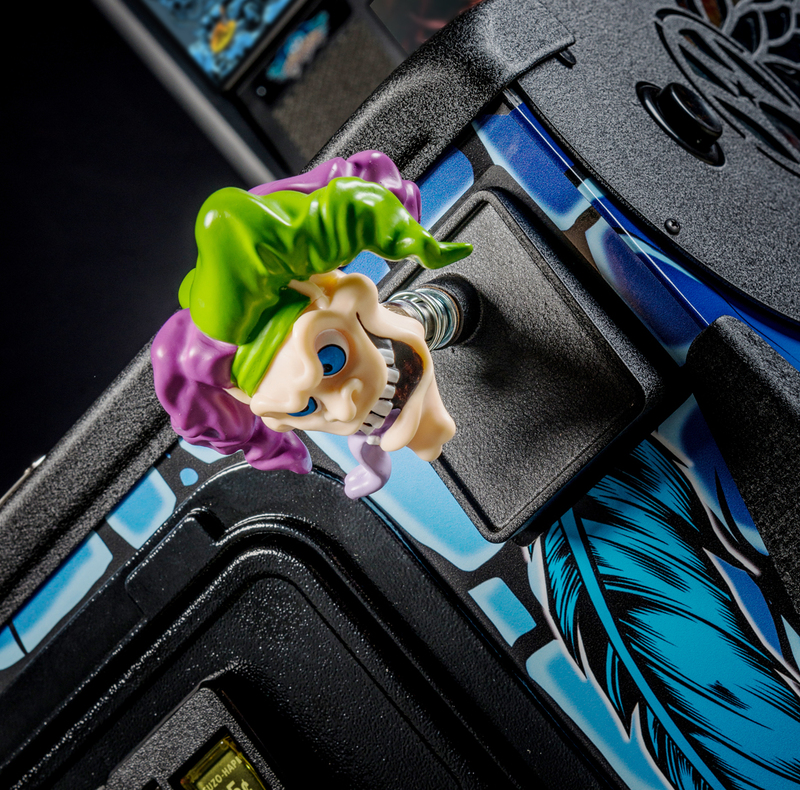 Players will be mesmerized by the interactive “Jacky on the Box” mechanical feature on the playfield. Jacky sits on a toy box allowing players to launch pinballs through the air and slam dunk the steel ball into the box. The more balls launched into the box, the higher the opportunity for a player to earn multiballs. Official Aerosmith logo topper features a fully interactive RGB LED lighting that will elevate any Aerosmith Pinball playing experience to the next level. Easy install. Fits all Aerosmith game models. 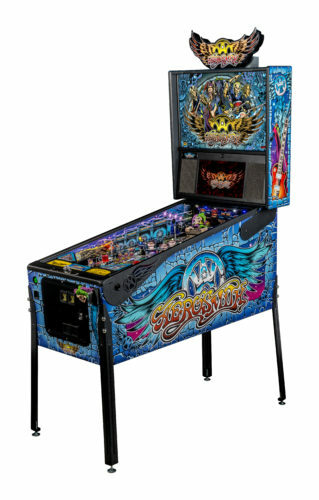 Custom Dirty Donny designed, artistic inside-panels that add dimension to the pinball playfield area. Easy install. Fits all Aerosmith game models. Sculpted Jacky head shooter rod. Fits all Aerosmith game models. Custom laser cut Dirty Donny designed side armor enhances the Aerosmith experience in your choice of Black or Purple. Easy Install. Fits Pro, Premium, and LE Aerosmith game models.